The Seasons offers luxurious apartments for students attending The University of Arizona and Pima Community College. Our Luxurious student apartment community features include a movie theater, 24-hour fitness center, study rooms, game rooms, resort style pool and hot tub, sand volleyball court - and so much more! The Seasons is surrounded by world-class shopping, wonderful dining, local bus routes, and exciting entertainment all just minutes away. 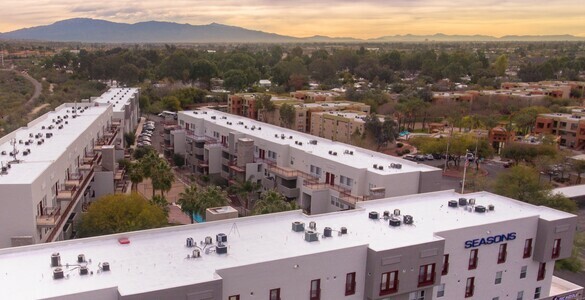 This is the perfect student apartment community near The University of Arizona, so make the smart choice and check out The Seasons community before renting anywhere else - you'll be glad you did!